East Asia, which includes countries like China and Japan, has seen a more than two-fold increase in sea trade since 2005. This has adversely affected air quality in the region. A team of Chinese and American scientists studied records of more than 18,000 vessels in the region to calculate the emissions and their effect on air quality. They found that maritime traffic accounted for 16 per cent of carbon dioxide in the region in 2013 compared to only 4-7 per cent during 2002-05. The region, which is a manufacturing and export hub, has world’s fastest growing rate of particle and carbon dioxide pollution from shipping emission, said the report published in Nature on July 18. Sulphur dioxide is another major element released from shipping emission which can cause irritation in skin, eyes, nose and throat. “Increased emissions lead to large adverse health impacts with 14,500-37,500 premature deaths per year,” said the report. Previous studies have given a reasonable estimation of global emission but have been less accurate on the regional impact due to systematic misallocation of marine fuel. The researchers observed that container and bulk carriers are contributing about 24-27 per cent and 26-27 per cent of shipping emission respectively and are the main contributors to all pollutants in East Asia except methane. The team discovered that particle pollution from shipping fumes was responsible for about 18,000 deaths in mainland China, 3,600 in Japan, 1,100 in Taiwan, Hong Kong and Macau, 800 in South Korea and 600 in Vietnam. This was an important, though a small fraction of more than one million total premature deaths caused by air pollution in the region, said the study. In China, severe air pollution episodes occurring in recent years have forced the government to implement a series of measures for improving air quality. The most common way of reducing particulate matter is to use low sulphur content fuel. Hong Kong was the first to strictly enforce the use of low-sulphur fuel by local vessels. Shenzhen has followed Hong Kong, announcing a comprehensive list of measures for cleaning up ships, trucks, and port equipment. 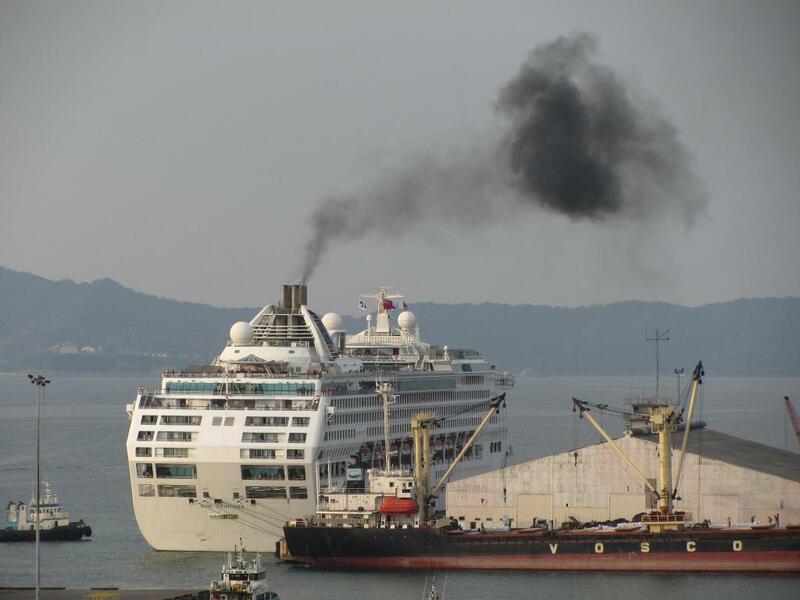 Cleaning up ships, trucks and port equipment can contribute significantly to improving air quality in coastal regions. “As a large fraction of vessels are registered elsewhere, joint efforts are necessary to reduce emissions and mitigate the climate and health impacts of shipping in the region,” said the researchers.